D.T. 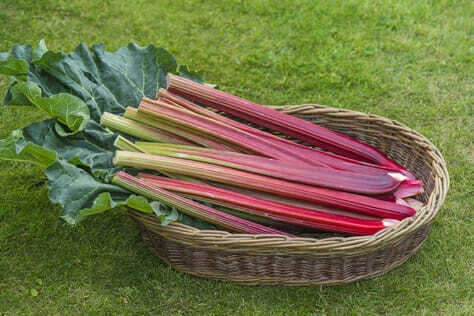 Brown has been at the fore-front of Rhubarb breeding in recent years. They were the first to introduce Livingstone, the original autumn cropping variety several years ago and recently launched Poulton’s Pride which crops for up to 10 months of the year. They now claim to offer one of the sweetest varieties customers can buy. 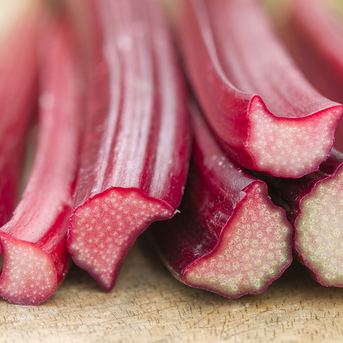 Poulton’s Red is a brand new variety, the latest in day neutral breeding and is their sweetest Rhubarb yet. Remarkable in trials for its vigour and deep green leaves, however the most eye-catching feature was the bright red, stringless stems – the strongest red they’ve ever seen. Like Poulton’s Pride, the dormancy has been naturally bred out so customers can enjoy harvesting Poulton’s Red from February (if forced) and continue through to November – up to 10 months of the year. They are available to buy now, a 9cm potted plant costs £7.95 and customers can buy three plants for £15.90 saving £7.95. Plants will be delivered from mid May.